Pablo started displaying an ability to paint since he was three. 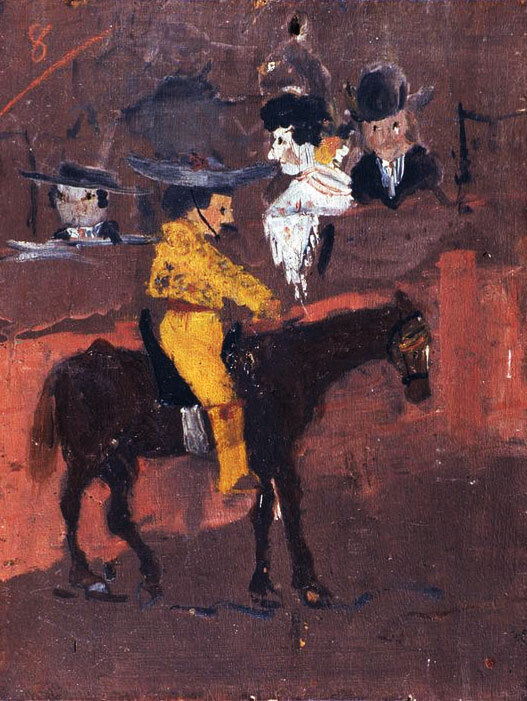 A small oil painting, Picador, - a picture painted by the boy at the age of eight - is considered one of his first works. It was inspired by his first attendance of the bullfight his father took him to. Corrida remained one of Picasso’s passions for his entire life. I want to put that picture on my bedroom wall! Such talent! guys...ORLY!? Actually it`s a child work, with 8 years old he painted it. I bet u didn`t a paint so proportionaly at 8.
picasso has the mind of a child! #9. kieron dunn:) 2k2, france.